The former Monson locomotive #3 saw some 30 years service with the Monson line in Maine before some 40+ years at Edaville in Massachussetts, and is pictured here at the Narrow Gauge Museum at Portland, Maine sometime in the late 1990’s. The following notes on individual locomotives were originally collated and published by Chuck Collins, and are re-published here with his permission. 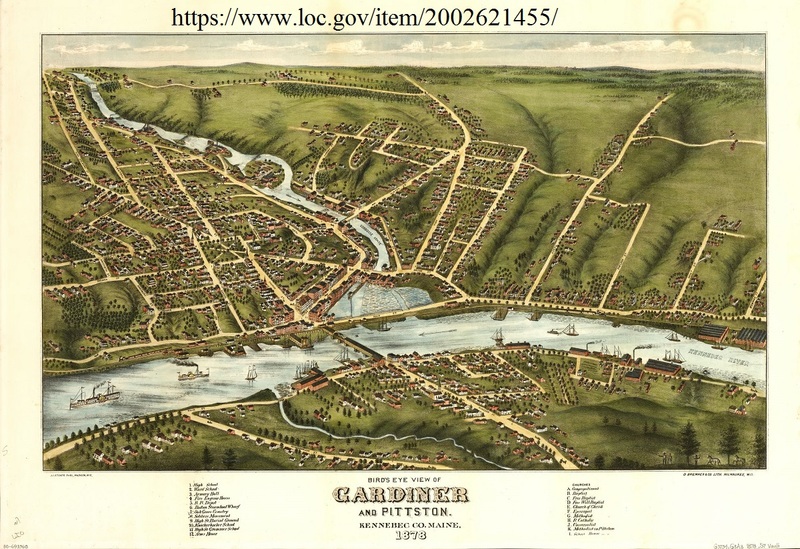 The introduction, updates and formatting for this blog by Terry Smith. Updated 03-03-2015. 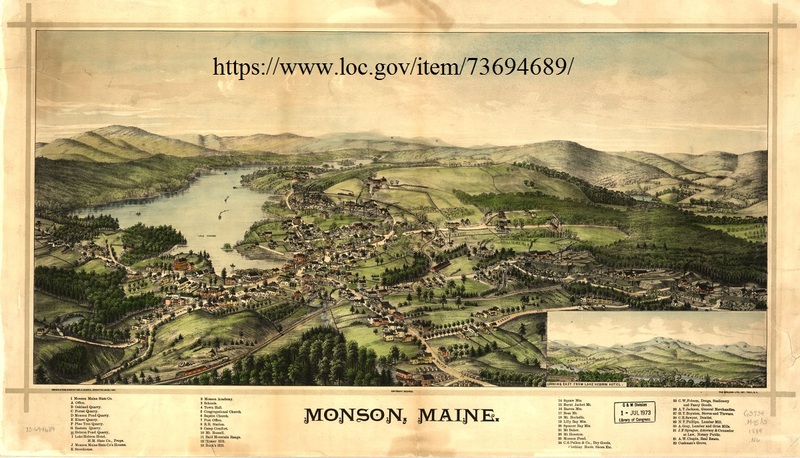 The Monson line was in many ways the simplest and longest lasting of the Maine Two Footers. 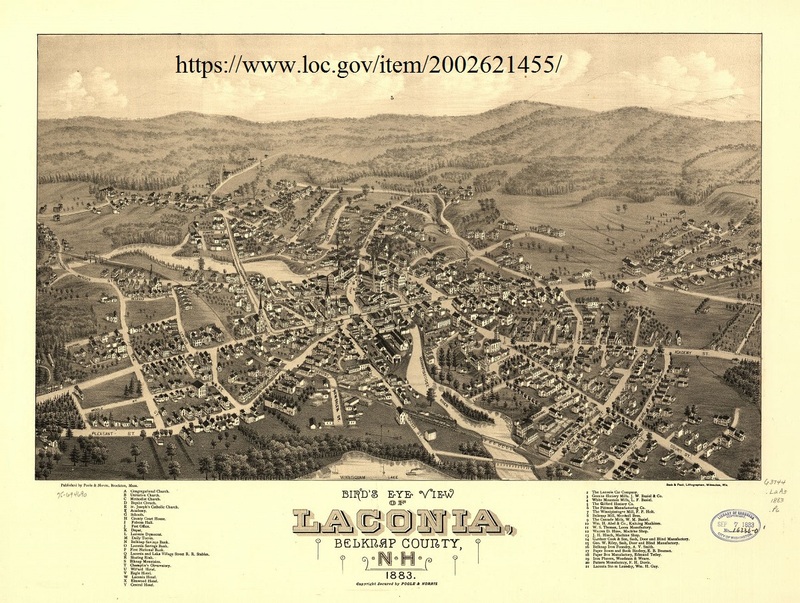 Chartered in 1881 as the Monson & Athens Railroad, it started building in the Spring of 1883 and the first train arrived at Monson Station on September 4th. 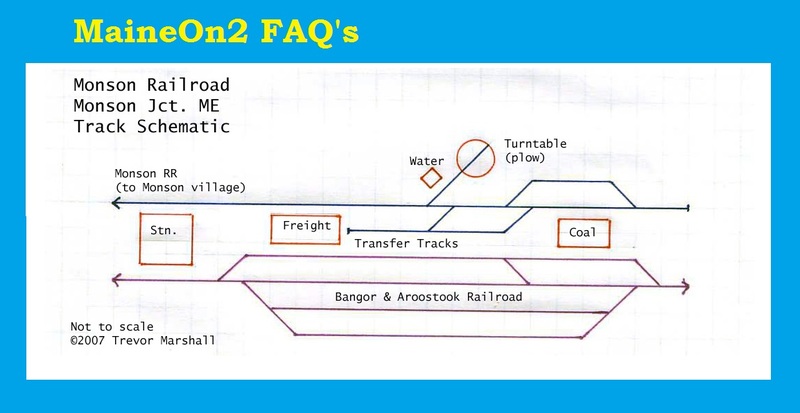 The line ran from Monson Junction on the standard gauge Bangor & Aroostook to Monson village some six miles north. Although incorporated as a common carrier, the main function of the line was to transport finished slate products from the various slate mines north of the village to the standard gauge connection and then onto the rest of the world. 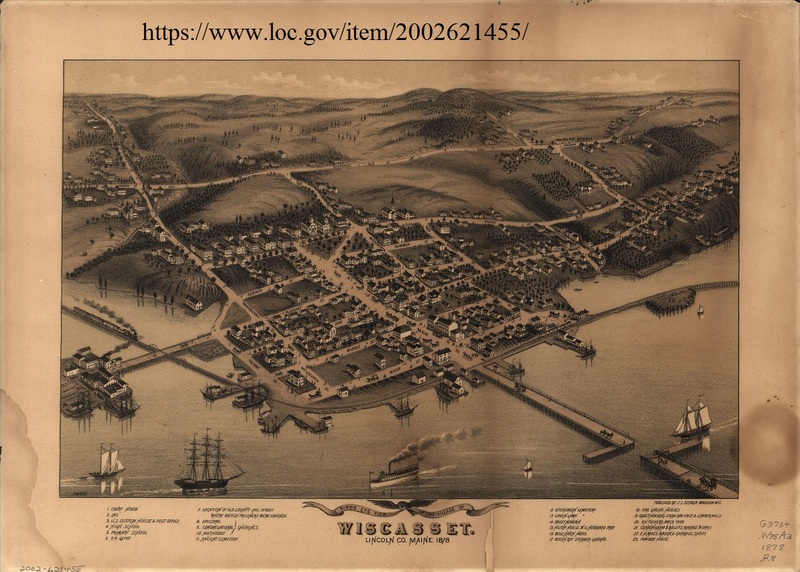 In 1885 the name of the railroad was changed to the Monson Railroad. 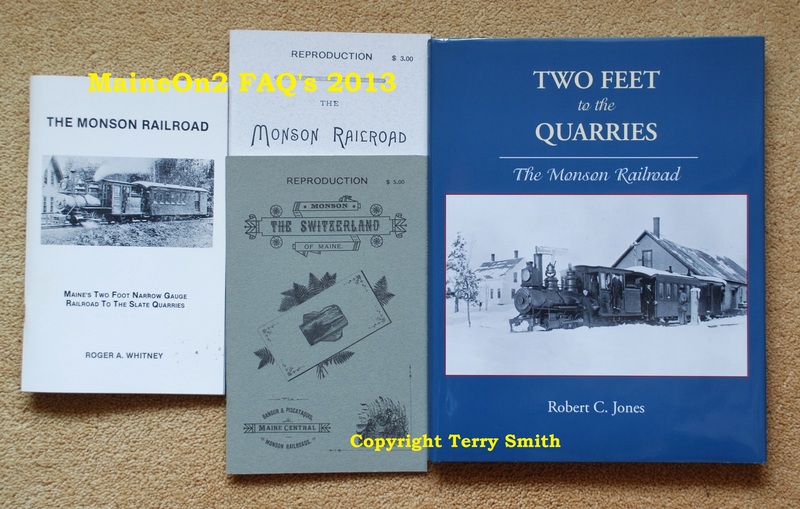 In 1908 the Monson Maine Slate Company gained control of the railroad, and it continued to operate until it was abandoned in 1943 and scrapped in 1944. The line continued to use link and pin couplers, hand brakes and stub switches to the end. The two Vulcan locomotives (Monson #3 & #4) survived the scrapping operation and were later bought by railfan Ellis D Atwood for his Edaville Railroad in Massachusetts. The smaller Monson engines soon became the preferred engines for their fuel economy and reduced track maintenance requirements. Currently at the Maine Narrow Gauge Museum in Portland. Hinkley #1621 built 7/1883 as Monson #1 G.S.Cushing. Rear tank carried 600 gallons water & 3/4 ton wood. This locomotive served as Monson #1 (1883 – 1912). 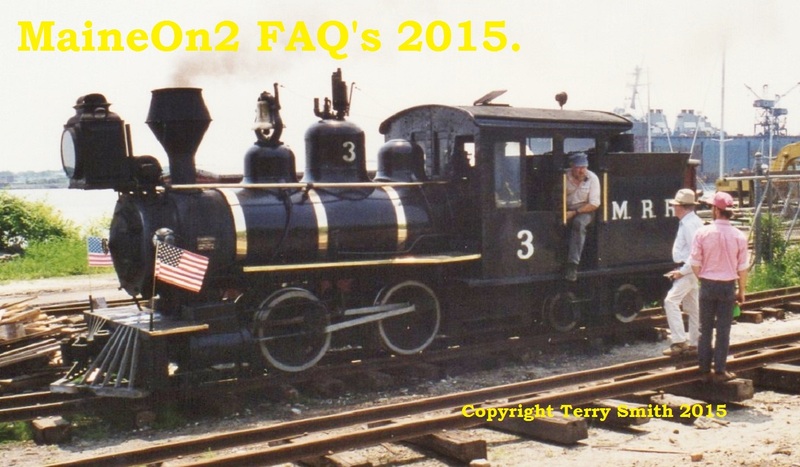 This locomotive modified the design of Bridgton & Saco River #1-2 to allow the use of wood fuel. Became Monson’s regular engine until worn out and converted to a snowplow in 1912. Rebuilt to burn coal about 1908. Hinkley #1661 built 3/1884 as Monson #2 H.A.Whiting. This locomotive served as Monson #2 (1884 – 1918). This locomotive was a repeat order of the Monson #1 design. Used as Monson’s standby engine until Monson #4 delivered in 1918. Rebuilt to burn coal about 1908 and scrapped about 1918. Vulcan #2093 built 2/1913 as Monson #3. Rear tank carried 9/10 ton coal. Vulcan updated the Portland design set by Phillips & Rangeley #1. This engine validated the original Portland design by providing decades of economical service with minimal track maintenance for both Monson and Edaville. 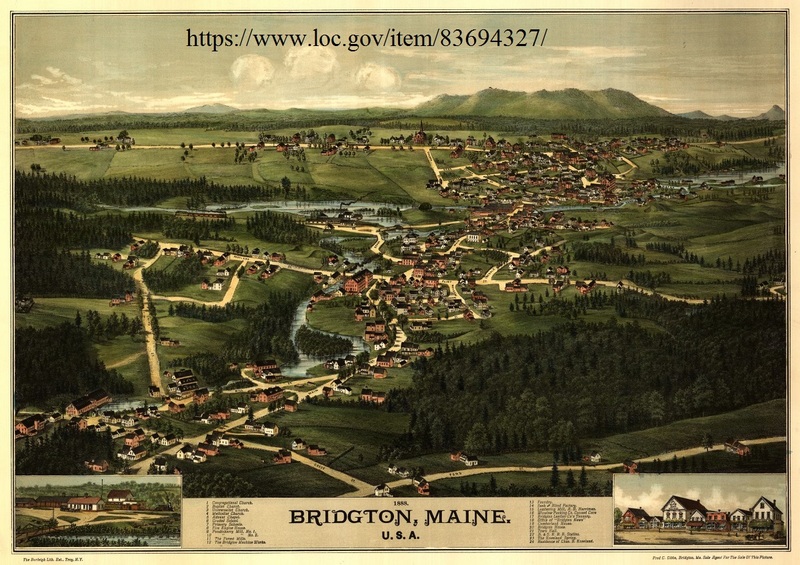 Similar engines might have extended the life of the Bridgton & Saco River railroad just as old Portland engines kept trains running over the Wiscasset, Waterville & Farmington. For Monson’s purposes, however, the design was modified by specifying a slightly lighter engine on their next order from Vulcan. Became the regular engine until Monson #4 was delivered in May, 1918. Then used as the standby engine until Monson #4 wore out in 1936. Was then Monson’s only operable engine until service was discontinued in 1943. Salvaged and rebuilt for Edaville in 1946. Became Edaville’s preferred engine until train operations were terminated. Moved to Portland Museum in 1993 and became their preferred engine. Vulcan #2780 built 2/1918 as Monson #4. Vulcan’s design for Monson #3 was modified to produce a slightly lighter engine — perhaps because #3 was too heavy for the Monson turntables. The inability to turn locomotives was never an adequate justification to rebuild the turntables, however for the Monson. Used as Monson’s regular engine until worn out in 1936. Salvaged and rebuilt for Edaville in 1946. Used as a standby engine until Edaville train operations were terminated. Moved to Portland Museum in 1993. Former Monson loco #3 pictured at the Portland Museum in the late 1990’s. For more information about the prototype locomotives, visit the Chuck Collins pages. Click here to view the prototype Monson on another browser page. 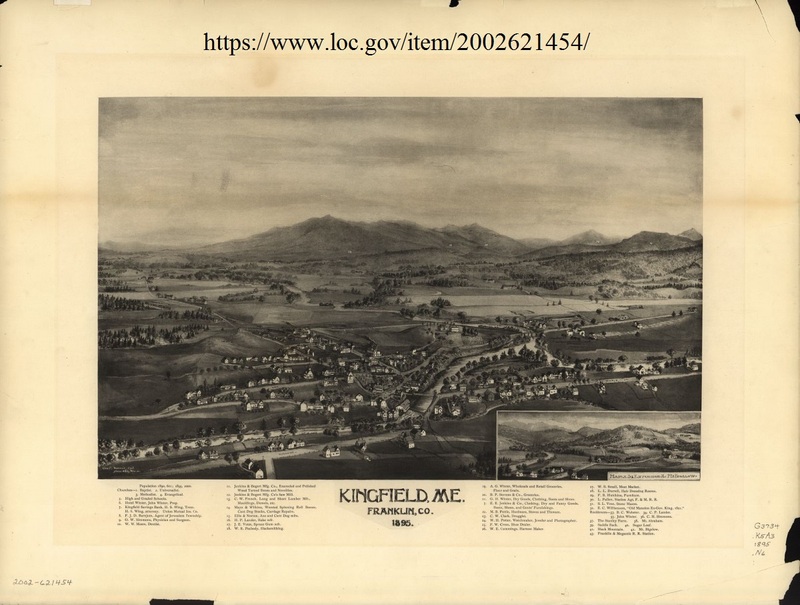 Historic Monson drawings list: this list of drawings was last updated on the 19th November 2003.